Bayer AG, based in Germany, is acquiring the consumer business of Merck for an estimated $14.2 billion. 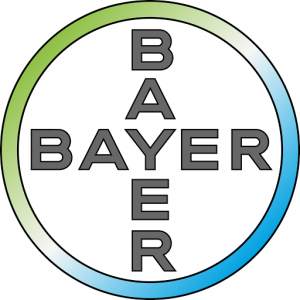 Bayer will now be the owners of brands that are well known including Afrin, Coppertone and Claritin. The deal means the German based pharmaceutical giants will have a list of U.S. brands selling at pharmacies with the idea of expanding their sales over a broader global market. While the brands are already in markets around the world, the majority of their sales currently are based in the United States. Bayer, which is best known for aspirin, summed up the $14.2 billion deal by saying the Merck consumer business is strong with a well-established portfolio of product brands that have become leaders in their categories. Bayer is hoping to boost the sales of the sun care products line of Coppertone by marketing it more aggressively in other parts of the world besides the U.S., once the deal closes. Merck said selling its consumer division strengthened it financially allowing it to focus more on the discovery and the sales of new drugs. The CEO and chairman of Merck, Kenneth Frazier said the sale of the consumer care line is part of the company’s effort to ensure assets that are within the portfolio are aligned with the company’s core strategy, having potential to lead the industry and generate long term value for the shareholder. By unlocking the value of the Merck consumer line, the company is able to further its goal of being the premier biopharmaceutical research-intensive company via targeted investments that help strengthen the portfolio of products and enhance its pipeline. Merck is expecting proceeds after taxes from the consumer care segment sale to be from $8 to $9 billion. The company announced it would use the proceeds after taxes to fund the areas that are within the business, which represent the highest potential opportunity for growth. Merck said they expected the sale of the consumer care unit to close sometime during the last six months of 2014. The closing is subject to receiving approvals from U.S. regulatory agencies.